Federal Drug Enforcement Administration agents have arrested a Polk County man for allegedly impersonating a DEA agent in December, and he could face up to 15 years in prison if convicted. David Brian Webb, 35, of Livingston, was arrested Thursday in The Woodlands, a spokeswoman for the department said. He is accused of the production and possession of false information, two separate charges. If convicted, he could face up 15 years in prison for and a $250,000 fine for the first charge and five years and a fine up to $250,000 for the second charge, court records state. Webb is accused of having a photo ID identifying himself as a drug enforcement agent and other credentials stating he was a member of the agency on Dec. 13, according to court records. He was ordered to forfeit the photo badge and a set of credentials, as well as a black 2011 Dodge Charger containing a “police interceptor package” with LED lights, radio, scanner, siren, spotlight and dashboard video recorder. This is not the first time Webb has allegedly tried to impersonate a law enforcement official. He was arrested Sept. 27, 2001 by Houston Police Department for impersonating a member of the Montgomery County Sheriff’s Office SWAT Team a month before, according to Harris County court records. The indictment states that Webb was wearing SWAT attire compete with a badge and a shirt with official lettering. He was given deferred adjudication and sentenced to one year of community supervision. Webb was a Roman Forest Police Department reserve officer for two months in 1998 before he was fired, Lt. Stephen Carlisle said. Carlisle, who wasn’t with the department while Webb worked there, said a reserve officer is one who has not completed training and does not work for the department unless needed. Department policy states that reserve officers cannot identify themselves as an officer because they have not had the proper training. “In his termination papers, he was terminated for not following the orders on several accounts and several policy violations but they don’t specify what they were,” Carlisle said. He also noted that there are “several noted investigative inquiries such as Houston Police Department, Tomball Police Department, and Oak Ridge North Police Department regarding David Webb identifying himself as officers from other agencies from other departments,” Carlisle stated in an email. Webb is still in federal custody, the DEA spokeswoman said, and it is unlikely that he will be released on bond. Current photo of David Webb. Webb would drive around in a car that resembled law enforcement units. This white car is checked by Deputy Monty Lee, in summer of 2011 when Webb pulled over some teens in a pickup driving on US-146. Webb claimed he was a federal agent and even produced credentials (fake credentials). 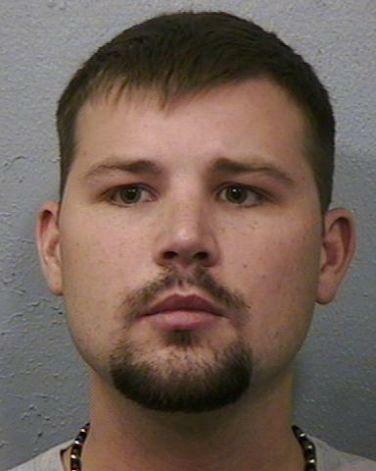 David Brian Webb, 35, of Livingston, allegedly has repeatedly tried to pose as a DEA agent. Polk County Man Charged With Impersonating DEA Agent, BEAUMONT, February 9, 2012 - A 35-year-old Livingston, Texas man has been charged with impersonating a federal drug agent in the Eastern District of Texas, announced U.S. Attorney John M. Bales today. David Brian Webb was indicted on Jan. 26, 2012, and charged with production of false identification and possession of false identification. Webb was arrested on Feb. 8, 2012 and made an initial appearance today in federal court. According to the indictment, on Dec. 13, 2011, Webb produced a false identification document and badge, or set of credentials, that identified him as being an agent with the U.S. Drug Enforcement Administration. If convicted, Webb faces up to 15 years in federal prison. This case is being investigated by DEA and prosecuted by Assistant U.S. Attorney Lisa Flournoy.